We declare righteousness exalts a nation, so in the Name of Jesus, we decree righteousness and justice will rule over every gateway to our society opened by the influence of money. Even as we declare the ability to create wealth will rest upon our nation, we decree and declare in this nation, those You have called to handle great wealth will do so with wisdom and integrity and we call them into position in the Name of Jesus . We thank You for those who desire to use their money and their influence to improve the lives of individuals, and we speak alignment with Your wisdom and Your Heart. We stand as Your Ekklesia and we decree in this nation, the power of wealth and the influence of wealth will be used according to Your values, Your will and Your purposes. We declare finances - personal, corporate and national - will strengthen and build Kingdom purposes, overwhelming every other agenda; personal, social or political, in the Name of Jesus. 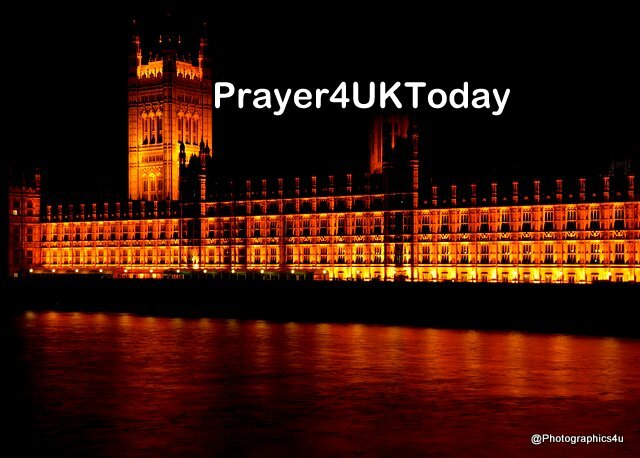 Now, we decree and declare alignment with Your purposes over all the debates concerning the EU Withdrawal Bill in both the House of Lords and the House of Commons, that the passage of the Bill will be completed in Your perfect time, unhindered by the plans of man or of the enemy. We decree and declare over all planned legislation and policy, over the potential Customs partnership, over the membership of the Customs Union, over the Northern Ireland Border, and over all related policies and legislation concerning Trade, that Your Voice will be heard above all other voices, in the Name of Jesus. Father God we pray for mosque leaders and evangelists that they will have Christian friends that they can respect and who will befriend them and help them to meet with Jesus and come into the Kingdom..
Abba Father help us to persist in prayer for Muslims we have prayed for over many years, even though we have not seen any clear answer to our prayers. As they come seeking You Father God we pray that You will give them dreams, visions, visitations and Damascus Road experiences and bring them into Your Kingdom at Your appointed time.